well here is the document that goes some way to substantiate the claim of the ‘Vote-Leave’ campaign as displayed on their bus etc. 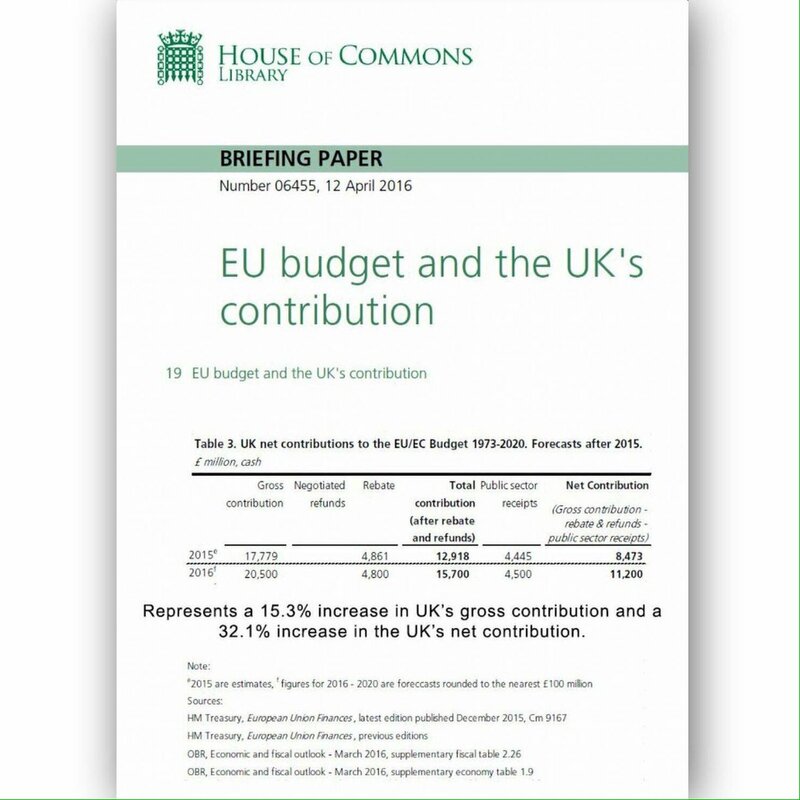 You will note from The House of Commons Library document that we actually pay the EU a gross figure of £20,500,000,000 for 2016 – that works out at £394,230,760,000 a week, that is £56,318,680 a day – more than justifying the claims of £350 Million a week or £50 Million a day made by the Vote Leave Campaign. That is the gross figure due to the EU – as they claimed! However it does not allow for the rebates and refunds from the EU of our own money – nor of course did the Vote Leave Campaign claim it did. The nett sum we pay the EU is thus, in fact as the official accounts show a sum of £11,200,000,000 a year or £215,384,610,000 a week thus £30,769,230,000 a day. However this does not make any allowance for such things as matched funding and the costs of work done by Civil Servants, MPs. Councils and the like in Britain, done on behalf of or as a result of EU membership which could well mean the nett figure is still around £350 Million a week! 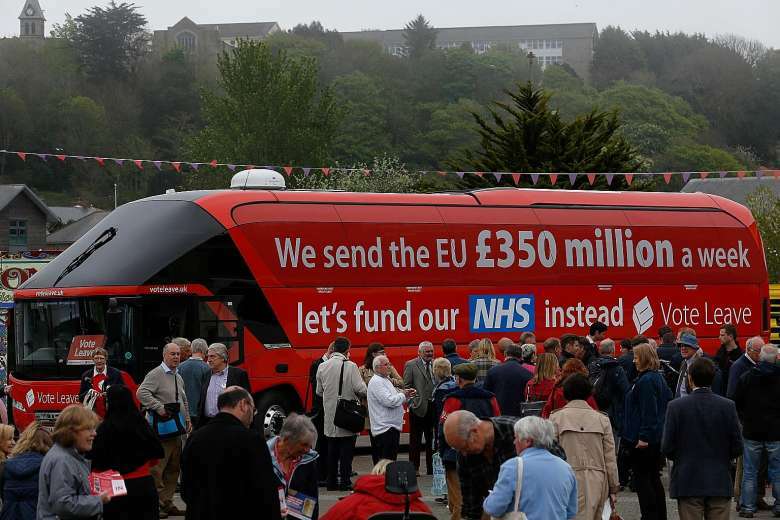 Now for the dishonest claim by the Remain Campaign and the post vote bleaters that the Vote Leave Campaign promised to spend the money we currently pay the EU on the NHS – Nowhere can I find any such undertaking! True Vote Leave put forward the advisory suggestion or example ‘Let’s fund the NHS …’ – there are many areas of our economy that require funding far more urgently than the NHS, which is itself far more in need of better and tighter management rather than more funding, management where medical knowledge takes a far higher precedent than is countenanced by the current management structure. It is all too readily overlooked that the NHS is a National HEALTH Service and not a national lifestyle service! Previous Previous post: A Month On & What Happenedf To the Cameron, Osborne, Carney & Remain Post BreXit Collapse?